There are some sites we head to in order to keep our spring/summer 2019 wardrobe at the height of top trends and some for timeless classics. Occasionally, you'll find a brand that can do both, like Ralph Lauren. The brand was born in the '60s, but it has remained a constant each and every decade since, so you'll most likely know someone who owns an iconic Ralph Lauren piece or two—especially when it comes to certain signatures like polo tops, leather bags, zig-zagged bohemian cardigans, bias-cut gowns or preppy jackets. Ralph Lauren's collections stand the test of time, with countless editors and fashion experts amongst the loyal fans and testament to this fact. Today's offering is no different, and it's very easy to head to the brand for the kind of chic elements that keep your capsule wardrobe in check. We're talking about the shirts that'll see you through business meetings to brunch or the blazers that make any outfit look premium, and the four basic trouser styles we should all own. Scroll down to shop the seven Ralph Lauren items that are guaranteed create a dreamy forever wardrobe. Style Notes: If you want to invest in a blazer you'll wear on repeat (this year and beyond), keep it simple. Classic colours and timeless prints will go the distance. Pale blue flourished with gold buttons—nice. Belted anything gets our nod of approval. Style it as a suit with the matching trousers. The pinstripe and double-breasted combination is so flattering. Style Notes: Ahh, the midi. Our love affair with the most versatile skirt around will continue forever more. Not only can they be worn during every season, but they're also suited to every body shape. Look to premium fabrics like leather and silk to add a more elevated option to your existing skirt collection. Say hello to the skirt you can wear all year round. Didn't know we needed a purple satin skirt until this beauty came along. From work to brunch, you can style it so many ways. Team with cashmere knits or cotton tops depending on the weather. Style Notes: We guarantee everyone reading owns at least one shirtdress. And if you don't, it's time to invest. The wardrobe staple will last a lifetime if you opt for neutral hues, simple details and clean silhouettes. From knee-high boots to strappy sandals, it'll work across seasons. It's the summer dress you'll bring back out year after year. It's all about that asymmetric hemline. You'll wear this versatile leather dress so many times the cost per wear will end up being minimal—promise! Style Notes: Say hello to four pairs of trousers need in your life, stat. From bright to neutral to printed and wide leg, there'll be no failing in the trouser department with this lot. Team with a dusty-pink top for a winning combo. We've finally found the perfect pair of beige trousers. They'll look chic for literally any occasion. Statement trousers will always be stylish. Style Notes: We're firm believers in the fact that a good quality shirt is a base for all good capsules. They're probably one of the most versatile pieces you can own. Got an interview? Go for the white shirt. Heading to brunch? Reach for the denim. There's one for every outing. Everyone needs a blue-and-white striped shirt in their collection. It's the sleek oversized cuffs that take this classic white shirt up a notch. The belted waist is super-flattering. Dress it up or down. You'll wear a denim shirt a hundred times over. Style Notes: Investing in premium accessories can overhaul the simplest of outfits. Go for leather when it comes to shoes and bags, and simple gold and silver when it comes to the jewels. Tan bags are forever bags. Guaranteed to make a home in your jewellery box way beyond 2019. Because the perfect pair of sunnies will stay put in your accessories collection. Style Notes: We'll forever rely on the fact a Breton T-shirt, top or jumper can save the day. Effortlessly stylish, they need little else to look sophisticated. The throw-on-anytime top we all rely on. Looks so good with white denim. The classic Breton top we know and love. Want to add some trendy pieces into your capsule? 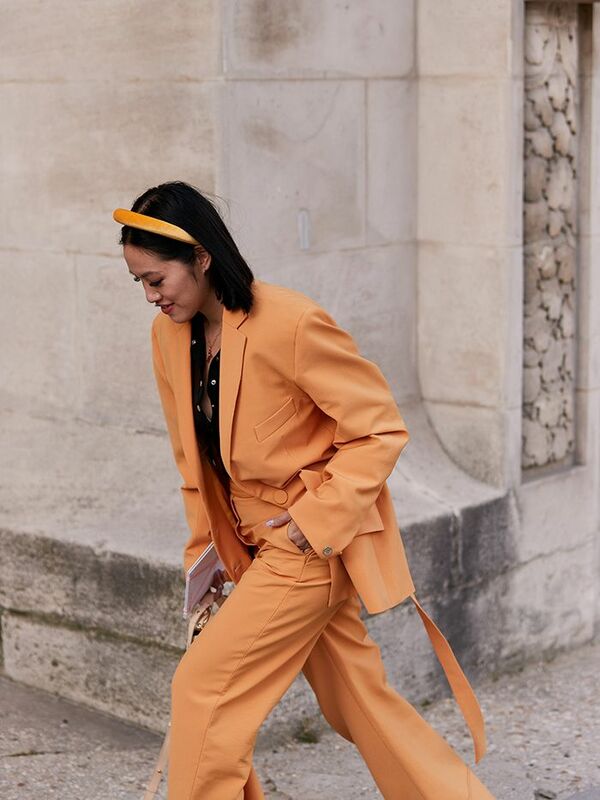 These are the spring/summer 2019 trends to take note of.